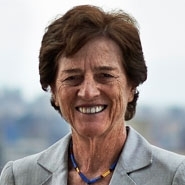 Government Relations counsel Liz Holtzman was selected as a member of the 2008 DirectWomen Board Institute, the goal of which is "to position an elite group of exceptional senior women lawyers for service as directors of major U.S. corporations." DirectWomen is an initiative of the American Bar Association, the ABA Section of Business Law.